There are lots of things a homeowner can do to improve their home that will help maintain or even increase the home’s value. The best advice a homeowner can follow to preserve home value: maintain and repair the home throughout the time you own it. 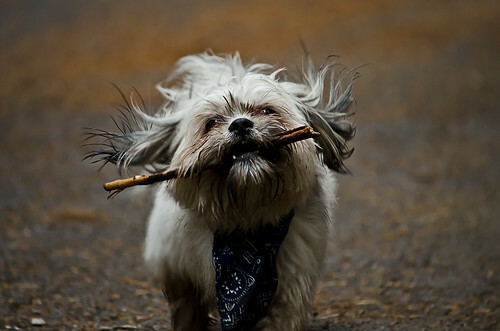 However, best intentions don’t always carry the day. Check out these eight inexpensive ways to maintain your home’s value, or possibly even increase it. Often life gets busy and we can forget about home maintenance. When we are considering selling our home, we are daunted by the mile-long list of things we need to do to get it market-ready. If you find yourself in that position, consider doing the less costly fixes first. They usually have the best return on investment. When buyers pull up to your home in their car, that first impression is an important one. I’ve read several studies that report that the decision to purchase is often made in the first 30 seconds. As a seller, you’ve got 30 seconds to stay on a buyer’s list of considerations. Curb Appeal Matters. If your curb appeal can make the right impression in those 30 seconds, then your interior has a winning chance to not only stay on the buyer’s list, but make it to the top of the list. Cut back overgrown shrubs and plantings. Unless your home is fairly new, the problem areas are usually too much of a good thing, rather than less. Power wash sidewalks, walkways, decks, and outside of house, if needed. You can rent a power washer for a day and it will make a huge difference. Mildew and dirt signal to buyers that lack of regular maintenance might be an issue, even if it’s not. If you don’t do anything else, paint the front door and replace an old, worn door handle. The door is the first point of contact, and you want that contact to be positive. Plant some inexpensive flowers, in pots, if you don’t have suitable garden areas. Pops of color add a warm, friendly touch. You want your entry to say, “welcome home” in a real way, and it doesn’t have to be expensive. Even a modest wreath on the door will make a welcoming impression. 2. 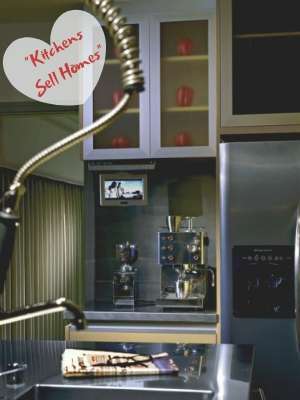 “Kitchens sell homes!” Realtors® say that over and over again. The kitchen is usually the most expensive room in the house, and bathrooms are second. If you want to compete in your market, you’ll need to take a serious look at your kitchen and bathrooms. Do they hold up to what is common in comparable homes in your area? Today’s homebuyers have higher expectations than ever before. We’ve all become accustomed to technology in the kitchen and bathroom. We have enjoyed affordable appliances that rival what was high-end a couple of decades ago. The good news is, it doesn’t have to cost a mint to do some small home improvements that will make a big difference…even in the kitchen. If you need a new appliance, make sure you replace it with an energy star appliance. Check out Lowes or Best Buy for their “Open Box” sales, the demos that they sell for 30 to 40% off. We got a great dishwasher that way. Try to match your appliances if you aren’t replacing the entire set. And don’t worry about getting an expensive stainless-steel appliance set, stay middle of the road and you’ll get a better return on investment. Is a Kitchen Remodel a Must to Sell a Home? For the majority of middle-class homeowners, the overwhelming advice is to take what you have and make it the best it can be. Start with the small repairs, and if you need to make more expensive updates, you can better budget for them over time. like redoing grout. Not my favorite job, but once you get those knee pads on, it’s really not rocket science. It’s just hard work…and like all hard work, it has a great return on investment. Another small job that makes a big difference… caulk. Moldy, broken caulk screams lack of maintenance. Replace fixtures if they’re dated. You can find inexpensive contemporary light fixtures, faucets, doorknobs or cabinet handles at the big box stores. When these items are dated, it really makes the entire home feel dated. If you don’t want to do these small tasks yourself, hire a handyman and give him the list. All together, small, easy tasks won’t cost a fortune. even if it means hiring maid service for a single clean. A dirty house is such a turn-off to prospective buyers. When you have it all clean, start making the small repairs that you’ve been avoiding. Replace window seals, fix the leaks, etc. 4. Look Down. Consider flooring. If your carpet is not too worn, a simple cleaning will do wonders. Sometimes you may need to stretch it if it is not too worn, but has some lumps. If you need to replace carpets, find a mid-grade, neutral color. We recommend “Tea Stain”. It will appeal to the most people. You don’t need to buy high-end when you’re going to sell your home soon because you won’t recoup that extra expense. If your hardwoods are dingy, first try buffing to renew their luster. My friend Debbie recommends the product called Bona for cleaning hardwood floors. If there are too many scratches and dings, you might need to refinish them. Check out Debbie’s FAQ’s on hardwood flooring. Do Hardwood Floors Increase Resale Value? There is not a lot of data regarding how much hardwood floors add to home value. An article on Realtor.com stated it was 2.5%. I hesitate to go with that figure…because it really depends on comparable homes. Even then, it’s difficult to calculate. But common sense will inform you: if similar homes selling in your area have hardwood floors, and your home has laminates, or carpet, then you will want to step up your game to compete. 5. Look Up. Consider lighting. If your light fixtures are dated, get some new ones at Home Depot or Lowes. You can find some very nice moderately priced fixtures. Although mixed metals are all the rage with decorating trends in 2019, without a designer’s touch, you may just want to play it safe and keep to the same finishes throughout the house for a cohesive look. Make sure you use the brightest bulbs possible. Should You Paint Your House Before Selling It? 6. Paint covers a multitude of sins. …and it is not expensive. Select neutral, low-key colors, as they have the broadest appeal. If someone likes bold colors, its still easy for them to “imagine” their favorite colors in your home if you have a palate of neutrals for them to start with. A fresh coat of paint, both inside and outside, where necessary, is always a good idea. The everyday wear and tear leaves scuffs and marks. Paint is like a clean slate. Take care to plug holes and repair small gouges before painting. Why waste all that work, just to have flaws show through? Sometimes, in the case of dark marks or oily stains, a shot of Killz will do a great job before you paint. If you’ve had a smoker in the home, then you’ll need to take special precautions before you paint. The same for pet urine. Without thoroughly cleaning the walls or sub-flooring (in the case of pet sells) you will only cover the odors up and they will eventually seep out. How to Remove Cigarette Smells and Stains from Walls, by my friend Debbie Gartner, the Flooring Girl. Painting by itself will not solve the issue. As Debbie points out, paint is porous, so you have to remove the surface odor before you seal the walls with a primer. Check out her helpful tutorial. How to Get Your Carpets (Really) Clean from Dogs and Cats, by my blogging buddy Beth Ellyn Rosenthal, Las Vegas Broker Extraordinaire. Because they are family, after all. and sometimes they make a mess! 7. Get rid of the stuff! Its amazing how much stuff we collect, without even trying. Unfortunately, our stuff can get in the way of a buyer’s impression of our home. They want to envision their stuff in your home, so if they aren’t able to see past your stuff…you get the picture. Pare down, thin out, pack away, de-clutter, get storage, toss or sell…whatever it takes. Consider renting a storage unit if need-be, just so you give buyers room to imagine themselves being at home. For lots of local resources for paring down, read: Are you Downsizing in Frederick Maryland? Here are Four Tips. Does Staging Help Sell a House? While the data doesn’t unequivocally prove that a staged home sells for more than an un-staged home, it does indicate that a staged home sells faster…73% faster, on average, than an un-staged home. This according to the Real Estate Staging Association. Staging a home, in most cases, certainly does help sell it. Presentation always matters in sales. Showcasing the home in the best possible way helps buyers see the home’s best features. Properly staged, the home can better appeal to the most likely buyers. 8. Consider Hiring a Professional Stager. A professional stager can make a big difference if design and decor are not your strong suit. The psychology of space is an important factor in presenting a home to buyers, and the stager will help you present your space in the best possible light. Additionally, if you have problem areas, staging can minimize those, while showcasing the best areas of your home. Staging can help buyers imagine themselves in your home. Think of each showing of your home like a first date. You want to dress to your best! Here are 15 staging principals to follow for staging success. By taking these initial steps to get your home ready to sell, you’ll be able to present it at it’s best. You will probably be pleasantly surprised that it won’t cost you the fortune you had imagined. Most of these inexpensive tips to prepare your home require mostly elbow grease! Whether you are considering a sale in the near future, or whether you’re a year or two, or more away from selling, it’s never the wrong time to consider home maintenance and small updates to maintain and improve your home’s value. By following any of these eight inexpensive tips to increase or maintain the value of your home, you will be at an advantage when it’s time to sell. Home Improvements that Could Lower Your Home Value, by Bill Gassett, Metrowest Mass Real Estate Agent. There are many expensive improvements that aren’t necessary, and won’t return the value when you sell. Some will even bring the value (and desirability) down. Bill points out 20 home improvements that may hurt your home’s value. What are the Most Important Things to Do to Prepare My Home for Sale? It’s a good idea to start with the important tasks first. Contact us to help you negotiate your Frederick Home sale. By taking these initial steps to get your home ready to sell, you'll be able to present it at it's best. You will probably be pleasantly surprised that it won't cost you the fortune you had imagined. 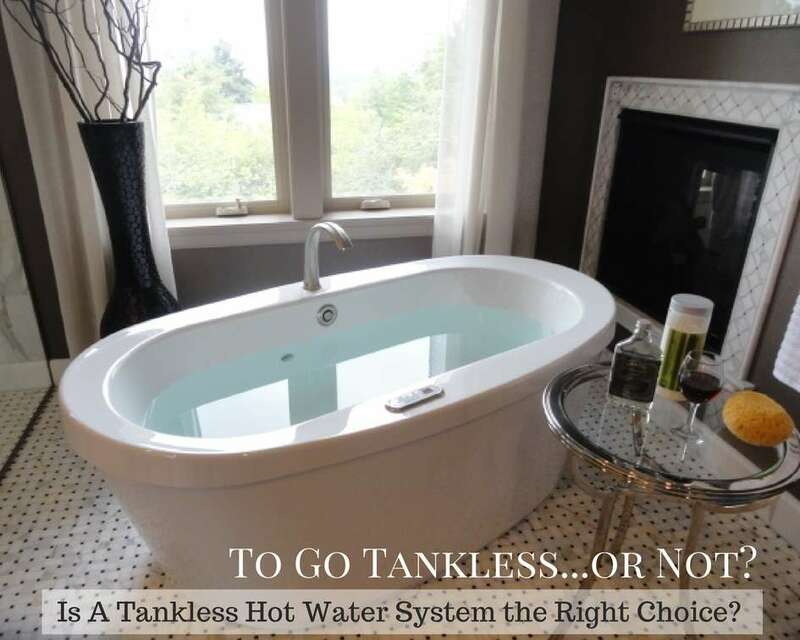 Tankless Water Heaters – Yay or Nay? A Carbon Monoxide Detector Could Save your Life! 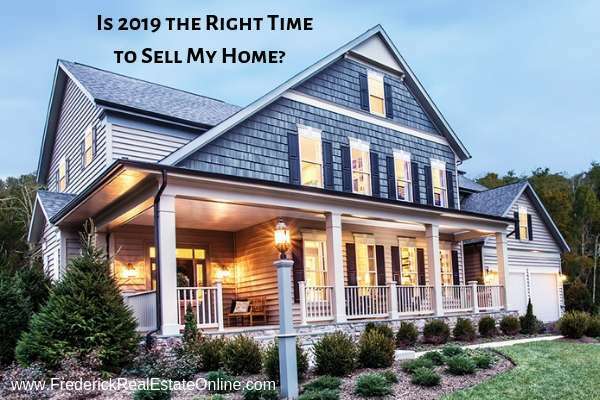 Real Estate Articles Is 2019 the Right Time to Sell My Home?